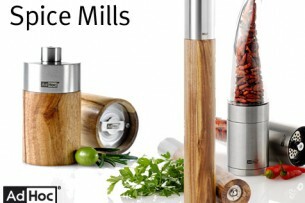 AdHoc product line offers items ranging from electric spice mills to corkscrews and always provides the right combination of aesthetic design and maximum functionality. Quality and innovation. Kitchen aids or design products, Adhoc offers anything you desire as ambitious customer. Their products have won several international design awards.